Alicat instruments are used in a wide variety of applications. We’re found in vacuum coating applications, food processing and the creation of fiber optics cabling. Alicat instruments test components to verify they are space worthy, provide flow control precise enough for even paint deposition from automated painting machines and precise enough to control propulsion on spacecraft while having no unintended recoil or counter effect from the device. With multidirectional flow control, we can mimic filling a car tire to pressure under test situations or simulate breathing. Alicat devices are built for each customer and with each application in mind making Alicat devices well suited to many diverse industries. But in distilling and the refining of alcoholic spirits? Yes, Alicat instruments can even make your mixed drink better. A company called Persedo uses Alicat mass flow controllers in their process that improves the quality of distilled spirits using a combination of ultrasonic energy, vacuum and extractive food grade gases. The quality of a whiskey, vodka, rum or tequila can be dramatically improved in a matter of minutes by removing components which cannot be removed by distillation alone and by changing others in situ. Persedo uses an Alicat mass flow controller to precisely control flow rates of food-grade gases flow into their distilled spirits processing system. By passing two gases through the Alicat instrument, they are able to selectively strip off-flavors and off-odors from distilled spirits. The system has been used to process as many as 1000 spirit test samples. Find the right flow meter for your process. Because Alicat devices can be controlled simply from the home screen or through various communication and industrial protocols, it is easy for Persedo and other customers to tie Alicat devices into the rest of the instrumentation and have them communicating through, for example, RS-232 to a computer without any additional modifications. Clear communication means speed and accuracy are increased. It is easy to make adjustments as needed, from flow rates to turndown ratios and even to the percentages of gases flowing into the system. Challenge us with a new application or process. Alicat instruments are being used to improve outcomes in new and exciting ways on a regular basis. With a team of skilled Applications Engineers working with each customer every step of the way and a cohort of test, electrical and fluid dynamic engineers developing the next generation of our devices, Alicat devices are always evolving and moving science and technology forward. You know your process. We know the parts you need to help get you there. At Alicat, we are not only focused on accuracy but customizability. We give our customers the best solution for their application, whether that be in a humid, corrosive or heavily regulated environment. Every Alicat pressure, liquid or mass flow controller is completely tailored to the customer’s needs, from flow rates to communication protocols. Customize a flow or pressure controller for your needs. Alicat devices are as diverse as the applications they are used in. For example, one customer needed to control pressure in a test environment to adjust humidity. They purchased this device: PC-15PSIG-D/5P, 5IN; a 15 PSIG pressure controller. For many customers, this level of customization is enough to satisfy the application needs. However, some customers need more. A customer called us looking for a pressure controller that could control gas at 155 PSIG and handle flow up to 5,000 SLPM. The controller needed to be placed in an OEM box system but not lose interactivity from outside of the box. Within the box, the system was set to operate at temperatures up to 70 oC, and to be consistent with the rest of the equipment the device required analog signals and connections. They also expressed some concerns to us: the system included pressure sensitive instruments which would break above 155 PSIG. Since the supply pressure was 180 PSIG this would damage or break the instruments, so the controller needed to measure pressure precisely at these sensitive instruments to ensure the pressure limit was not exceeded. While the operating temperature was 70 oC, the storage temperature of the box dropped down to -50 oC making condensation a big concern. With previous Alicat devices they’ve purchased, they noticed that the devices retained the last setpoint in its memory at power up, which was a security concern. Now, this might look a lot like alphabet soup, but every letter and number lets us know exactly what this Alicat will look like. The first letters, simply put, designate that the device is a pressure controller, shown as PC. The RH afterwards means that this device has a pair of Rolamite valves in Hammerhead configuration. This allows for 5,000 SLPM high flow capacity. Hammerhead valves open and close simultaneously which doubles the surface area of the valve orifices, allowing more flow. Additionally, we built the valves with a custom size of 40×55, 40 being the orifice size (0.040”) and 55 being the number of holes in the Rolamite hole pattern. This specific hole pattern was determined to afford the greatest control across the expected range of inlet pressures (P1: 180 PSIG) and desired maximum flow rate (FLOW: 5000 SLPM). The customer wanted to maintain pressure after a delicate system of other instruments, but needed to regulate the airflow before it reached this system. The 3 signifies a remote sense port, which allows such pressure controllers to sense flow in a different area than where the valves are controlling the flow. This system is ideal in applications with limited space because the valve does not need to be located where pressure is being measured. The maximum pressure that the customer intended to control was 155 PSIG, so we modified the sensor range from the 0-100 PSIG stock sensor range to 0-155 PSIG. This pressure control system was located inside of a box, but needed to be controlled from the outside. A remote display, noted as RD, allows the display to be mounted outside of the box, giving user access to all of the functions inside. RD: 1.5’ is the length of the cable that connects the remote display to the rest of the controller. The remote display was tested to withstand temperatures down to -50 oC, the lowest anticipated storage temperature. With operating temperatures within the boxed system as hot as 70 oC, a REMOTE electronics package was specified. 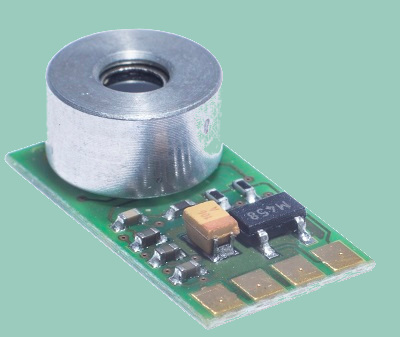 In high temperature scenarios which would damage the standard electronics, we separate the sensor assembly from the rest of the electronics package, so only the sensor interacts with high temperatures and the electronics are kept safe. REM: 1’ is the custom length of the cabling needed to connect the electronics to the sensor and flow body of the device. The customer requested a locking M12 electrical connector to keep their system from coming unplugged inside the box. Moving from the -50 oC storage temperature to room temperature would sometimes lead to condensation within the system, and this could short out the electronics. 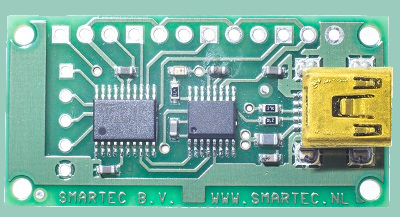 To prevent this, we added a protective conformal coating (CC) on the circuit board to protect against any condensation. The customer was already using SAE24 threaded process connections, so we matched it. 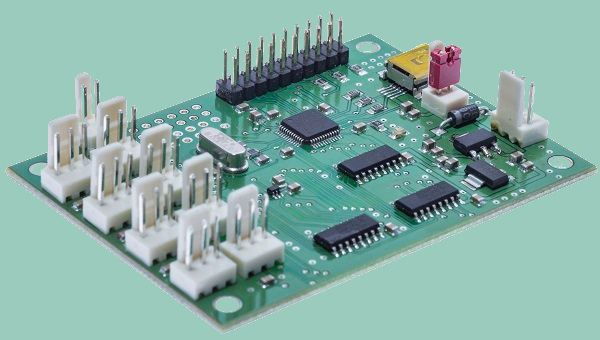 Another customization for this device is a mismatched analog input and output: a 4-20 mA output pressure data (CP) and a 0-5 Vdc setpoint input signal (5IN). Typically customers use an input and output that match, but this customer needed a mismatched setup to make this pressure controller work with their existing system signals, including a PLC that has an output of 0-5Vdc. Because the customer was not using a digital interface for communications with the PLC, they needed a way to remotely tare the controller using analog signals. To satisfy this need, we designed this device to be tared by grounding Pin 1 of the M12 connector. 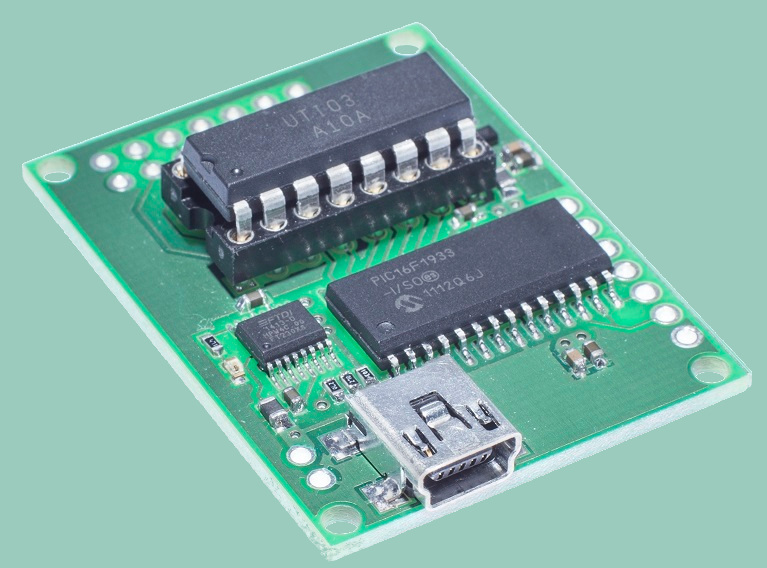 To avoid revealing potentially sensitive information, this pressure controller will always bring up a setpoint of 0 PSIG (PUSP: 0). Alicat instruments are built specifically for the conditions under which they will operate and the environments where they will be used, according to each customer’s needs. We work directly with customers to understand the stressors that will be placed on the instrument to ensure that every Alicat is up to the challenges they may experience in the field, lab or factory. Because the best repair is the one you never need, Alicat has a number of options to keep your process flowing smoothly. In a precision test setting, it is unlikely that errant particulates, changes in ambient conditions or back flow of water will ever reach instrumentation. But Alicat instruments are often used far from the clean room. They are used to calibrate air monitors where the weather is a factor. They are used to maintain pressure and control gas mixtures in bioreactors, where cleaning means running the risk of splashing instruments. Some processes require the use of gases far more aggressive than air and other such nonreactive gases. In ambient air monitoring applications, humidified air can make it difficult to achieve the required accuracy in the field, especially when it is hot and humid. That is why we developed the FP-25. This flow meter incorporates a live humidity sensor that ensures accuracy of measurement at any temperature and humidity. Learn more about ambient air monitoring with FP-25. Recently we worked with an air monitoring customer who needed to control the flow of ambient air in humid areas at a high level of accuracy. 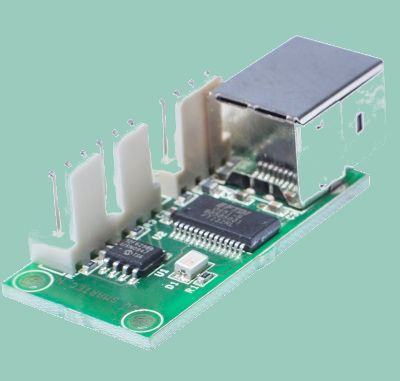 We developed a flow controller that uses the same internal relative humidity sensor and software to correct readings based on relative humidity that we use in the FP-25. This allows for accurate sampling of ambient air as temperature and humidity change. Water outside the process line can cause issues as well. While some solutions might include creating some sort of protective box around process control instrumentation, or simply placing a plastic bag over the equipment and hoping for the best, we can build units to be rated up to IP66. Because our gas flow bodies are the same as our liquid flow bodies, a little water in the system won’t cause complete failure of the device, provided that it can be dried out later. 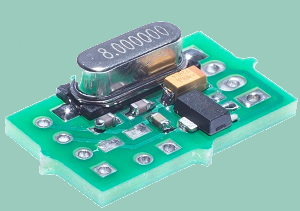 Additionally, we have a conformal coating option to protect the interior electronics for situations where changes in temperature can cause condensation. Rain, back splash from a hose or conditions that might lead to condensation on or within the instrument are non-issues for Alicat instruments equipped with these options. And if water or other damaging conditions are anticipated to a point where the electronics are at risk of damage greater than what can be protected with an IP66 rating or coating, we can build the device with the sensor and the electronics package as a separate remote option. This option is most frequently used in high heat environments, but can efficiently remove the more sensitive electronics away from wet conditions. Some processes throw more at the device than the forces of Mother Nature, and not all gases are as gentle as air, nitrogen or other common gases. Many customer processes require corrosive gases like ammonia or sulfur dioxide that could cause damage to the instrument. Depending on the gas being used, we can use FFKM or EPDM elastomers and stainless steel components. For some applications, we can customize from there, too. Our S series instruments are built with 316L stainless steel sensors, and in many cases the flow bodies and valving can also be ordered as 316L. See all 130 precalibrated gases our MCS series can flow. For processes and environments that are potentially explosive, most Alicat instruments can be built with a CSA Class 1 Division 2/ATEX Zone 2 area certification. These instruments can be used in oil and gas applications where exposure to combustible gases is possible. Your process can be messy, rough, jarring and abrasive. The last thing you want to worry about is your process control instrumentation being too delicate to handle the task. That’s why at Alicat we custom-build each unit with the customer’s process in mind. These Alicats are not just built to withstand tough process conditions; they can be configured to thrive in harsh ambient conditions as well. Backed by annual recalibrations and our limited lifetime warranty, an Alicat instrument will keep your process running smoothly, even in challenging environments, for years to come. Your process, your project and the end results are what are most important. Spend your time on the things that matter, not worrying about your instrumentation. 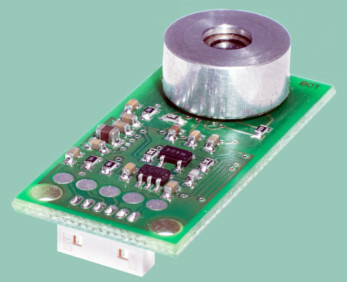 POSITAL has expanded its line of kit-style encoders for feedback for servo and stepper motors with new models that utilize the same mounting form factor as incremental kit encoders from US Digital, Broadcom and other manufacturers. 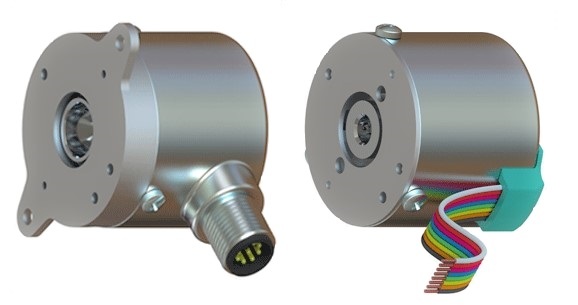 POSITAL kit encoders provide absolute position feedback so that the control system always has complete information on the physical position of the mechanical components that it is directing. “Absolute position feedback is a natural way of providing accurate position control” comments Jim Stevens, market specialist for robotics at POSITAL. “Almost any position feedback application could be absolute-based. Many current systems were designed around incremental encoders because incremental feedback devices were historically much less expensive than their absolute counterparts.” However, with the introduction of POSITAL’s absolute kit encoders at prices much more in line with incremental devices, system designers no longer have to work around the shortcomings of incremental feedback in an absolute position world. Incremental encoders are effective for speed control. 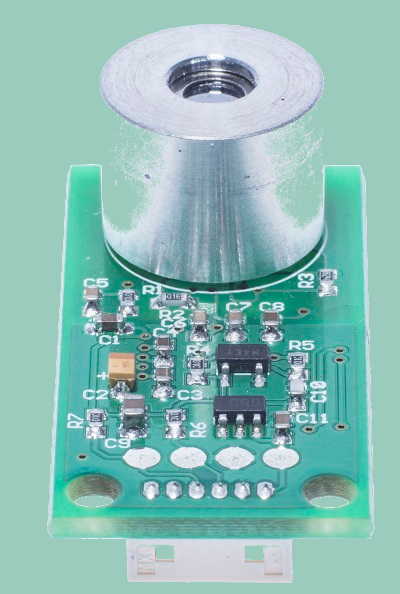 However, to monitor absolute position, the controller needs to maintain a complete count of the number of pulses received from the encoder. This can lead to problems. If, for example, the pulse count becomes corrupted due to a power outage, or if the control system fails to update the pulse count when the machine moves, positional accuracy is lost. The usual remedy is to “re-home” the machine by returning it to a known reference position and zeroing the pulse counts. By contrast, absolute encoders measure position directly. After a power outage, the controller can re-establish complete knowledge of the position of mechanical components by simply polling the sensors and reading their rotational position. Multiturn Absolute Kit Encoders from POSITAL are based on magnetic sensing technology which provides a very robust encoder solution. The multiturn counting system is powered by Wiegand wire energy harvesting technology, which enables the absolute encoder to maintain true absolute position over power cycles and rotation of the encoder during power off conditions. With 17 bits (131072 positions) of single turn resolution and 16 bits (65536 turns) of multiturn range, KCD Absolute kit encoders from POSITAL are ideal for position control applications.